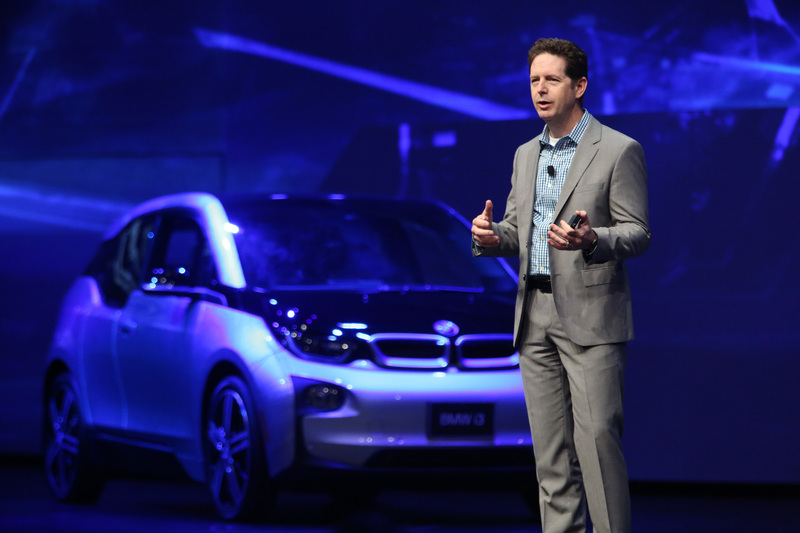 The post Doug Davis on the Road Ahead for US Leadership in Autonomous Vehicles appeared first on Intel Newsroom. 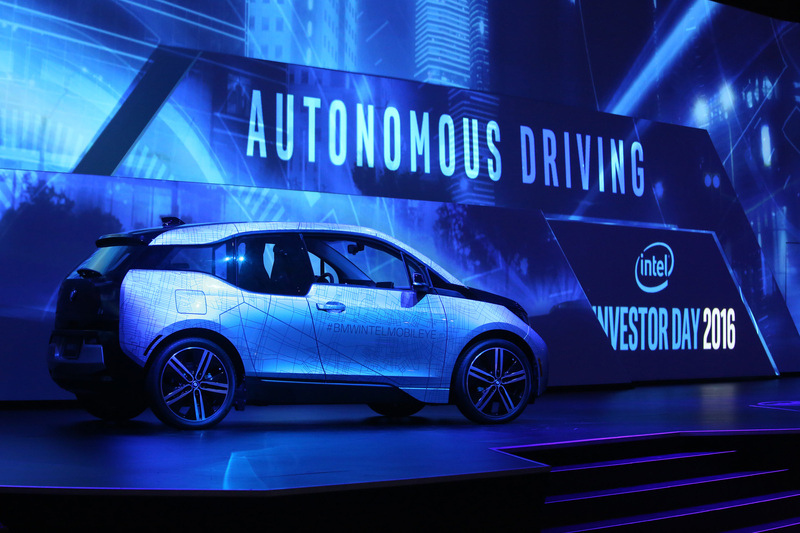 Intel Will Succeed in Autonomous Driving. I Bet My Career on It. Every morning for more than 30 years, I have climbed out of bed to go work at Intel. But never in those 30 years have I been more excited to do so than I am right now leading Intel’s autonomous vehicle team. Don’t get me wrong – I’ve had an absolutely wonderful career and have worked on some programs that have had a significant impact on the world around us. But the chance to solve one of the most complex technology challenges of our time, the opportunity to help the auto industry reinvent transportation, the potential to save a million lives every year – those things are unlike anything I’ve done before. They’re the reason I postponed my retirement. Intel technology is in hundreds of autonomous test vehicles on the roads today. Not all carmakers are talking about who is powering the brains in their test cars lest they give away secrets. But the fact is many of them are using Intel. I encourage you to open their trunks, boots or hatchbacks and see which tech company they are relying on the most to provide the brains for their development vehicles. Today we are also showing off one of the first of approximately 40 highly automated driving (HAD) cars promised from BMW, Intel and Mobileye this year. It was less than a year ago that the three companies announced plans to bring highly and fully autonomous vehicles into series production by 2021 through the development of a common platform. We are now successfully demonstrating that platform and are preparing plans to bring it to market for other OEMs and tier-one suppliers to accelerate their programs. Stay tuned for more on that front. The single most important factor in autonomous driving is data – how best to process it, manage it, move it, store it, share it and learn from it. From PCs to data centers and everywhere in between, no company’s silicon has analyzed, computed and moved more data than Intel’s. As we move down the road toward autonomous cars, the data challenge will become much more complex and require new ways to work with data inside the vehicle, throughout the network and across the cloud. To ensure we have the absolute right strategy to handle that data challenge, we’ve installed the first of several planned data centers dedicated to autonomous driving. These unique labs will be used for algorithm development and training, as well as for understanding the special infrastructure needs for autonomous driving data movement and storage. Researchers will continually feed information from Intel’s test cars into these data centers to train neural networks and improve machine learning algorithms. And, we’re busy building similar labs with customers and partners. Which brings me to artificial intelligence (AI). Mastering AI both inside the car and in the data center will be essential to the autonomous driving data challenge. Here it’s important to remember that autonomous driving isn’t a game. When cars are thinking and acting without human intervention, they must be able to do so in a safe and trustworthy way. The artificial intelligence needed to make this happen isn’t just computer vision – think voice, decision-making, personalization and preferences. Each of those AI workloads needs a different set of algorithms and likely different kind of processing for optimum performance. If all we needed was a supercomputer to handle the autonomous driving data challenge, our work would be done. I’ve said this before: Autonomous driving will accelerate when the industry comes together to align on common platforms and technologies. That enables developers to go quickly and in volume while still differentiating their solutions in software. How do I know this? Let’s look at the PC and server industries as examples: Before 1980, the computer industry was highly proprietary, serving primarily researchers, big companies and hobbyists. This changed a few years later when IBM built the first personal computer using mostly off-the-shelf parts and an outsourced operating system. These early PCs were the base for a standardized approach to computer design that led to faster evolution of technology and 150x growth in two decades. The data center is similar. After mainframes came microcomputers that enabled some flexibility and cost-effectiveness. But it was the adaptation of PC technology that allowed data centers to evolve quickly to handle the data that came with the internet. IDC reported there were 1.8 zettabytes of data generated in 2011, and the agency estimates we will generate over 40 zettabytes by 2020. Only through standardized solutions have we been able to grow the industry fast enough to keep up. Which brings me back to autonomous cars. There are plenty of naysayers who think Intel’s experience in enabling rapid scaling cannot be replicated in autonomous driving. At the same time, there are plenty in the automotive industry who don’t understand how open collaboration can enable differentiation and innovation. I understand the skepticism, but from years of experience, I know that technology solves problems best when it’s organized around common platforms and predictable interfaces. Without a doubt, that’s the fastest way forward on our autonomous journey. As a society, I don’t think we can afford to continue down a proprietary path. The cost in time, money and human lives is too great. The faster we can deliver autonomous driving technology and take humans out of the driver’s seat, the faster we can save lives. It’s that simple – and that important. And I am confident Intel will not only succeed in helping our partners put self-driving cars on the roads, we will do so in the fastest, smartest way possible. 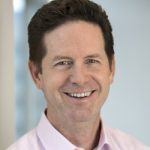 Doug Davis is senior vice president and general manager of the Automated Driving Group (ADG) at Intel Corporation. The post Intel Will Succeed in Autonomous Driving. I Bet My Career on It. appeared first on Intel Newsroom. The automotive and transportation industries are on the cusp of a major transformation – and Elaine Chao’s appointment as Secretary of Transportation is an exciting opportunity for industry and government to work together to foster U.S. leadership in self-driving cars and smart infrastructure. Automakers around the globe, transportation companies and the community of suppliers and technologists have embraced the idea of vehicle automation to improve safety, efficiency and mobility. We all recognize that self-driving vehicles and the plethora of emerging mobility services will be here much faster than some projected just a couple of years ago. That’s why Secretary Chao’s commitment to advancements in transportation and private sector innovation, and her emphasis on public-private partnerships are so heartening. 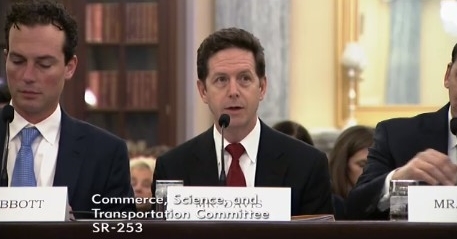 In the summer of 2016, I was the only technologist invited to testify before the U.S. Senate Commerce Committee to explore how the Internet of Things (IoT) can bring U.S. transportation and infrastructure into the 21st century. I was part of small panel that included distinguished representatives from the transportation and the infrastructure industries – each with unique perspectives on various elements required to position the United States as a global leader in the rapidly evolving transportation market. With the swearing in of Secretary Chao and the new Congress, Intel is looking forward to continuing that engagement and partnering with the government to revitalize and future-proof our infrastructure and update the nation’s public policies to reflect the speed of innovation. Updating American infrastructure implies a transformation in the way we approach urban and city planning. It will require millions of cameras and other sensors to improve safety and efficiency along our roads and highways, along with wireless chips embedded in traffic signals, street lights, parking meters and parking lots. All of these can capture, analyze and communicate real-time information with a new generation of cars, buses, trucks and other modes of transportation. Within the vehicle, unprecedented levels of technologies are already starting to make our cars smarter, safer and more efficient: Technologies like 5G – the next-generation of wireless connectivity – will enable the vehicle to quickly detect its surroundings, make safety decisions and communicate with other vehicles on the roads and with transportation infrastructure. Cars will also be able to share the information with the cloud where more data analysis will happen. All of this will require unparalleled computing power and security, and Intel has been pushing the boundaries of technology to deliver these hardware, software and security solutions. Whether it’s 5G or leading edge artificial intelligence (AI), we have been working aggressively with our industry partners to bring these cutting-edge innovations to the nation’s transportation system. These transformational technology breakthroughs will mean exponential levels of productivity and vast positive societal impact for us as a human race. Imagine a doctor being able to securely receive and analyze a critically ill patient’s medical records while riding in a self-driving car to the hospital. Imagine an entrepreneur being able to conduct a business meeting via video conference with someone across the country or even across the world, while still on the go. Autonomous driving is set to revolutionize the way we live. Self-driving vehicles will save lives, empower our aging and disabled population with new levels of mobility, reduce traffic congestion and increase efficiencies in our transportation system and businesses around the world. With such monumental societal benefits at stake, Intel looks forward to partnering with Secretary Chao and the Department of Transportation, the White House and Congress to drive public policies that will help America lead the world in transportation and infrastructure innovation. 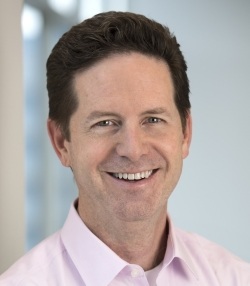 Doug Davis is senior vice president and manager of the Automated Driving Group at Intel Corporation. The post Intel Looks Forward to Working with Secretary Chao to Accelerate Autonomous Driving appeared first on Intel Newsroom. 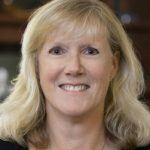 Just as industry and the experiences it creates are evolving, so are we here at Intel. In the face of this revolution, we are adding experienced leaders and building new organizations. Specifically, I’m thrilled to share that we’ve asked Tom Lantzsch to join Intel’s executive leadership team as our new senior vice president and general manager of the IoT Group. 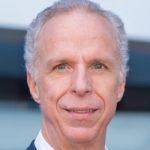 Tom comes to Intel with more than 30 years of experience in Fortune 500 and early-stage startup companies. 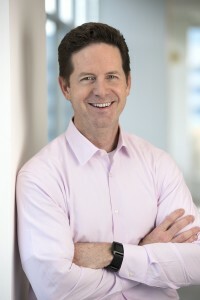 Most recently, he was the executive vice president of strategy at ARM, where he spent the last 10 years of his career. Here’s what we want you to know about Tom: He brings deep strategic and operational acumen, and he’s grown businesses and fueled innovation. He’ll be an accelerant leader for Intel and our industry – leading with a pure passion for how smart and connected devices will enrich our daily lives. Tom will join the team formally in January. While we’re mentioning accelerants and passion, I’ll also highlight an exciting change to how we run our automated driving business. We created a new organization called the Automated Driving Group (ADG), which will be solely dedicated to innovating the future of driving and designing the next generation of advanced driver assist systems and autonomous driving solutions. Intel’s ADG builds upon Brian Krzanich’s vision for the future of automated cars – a vision he recently shared at the Los Angeles Automobility Show. 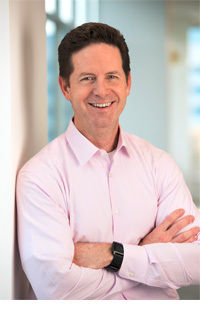 We’ve appointed a phenomenal leader to lead this new organization: Doug Davis. You’ve seen Doug’s leadership in action for more than 30 years at Intel. Throughout his career, Doug has consistently been on the leading side of disruption – standing up amazing new technologies that redefine how we experience work and life. 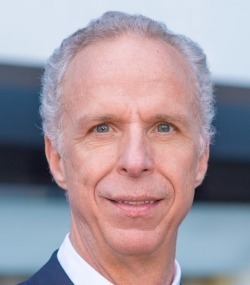 Doug sees the new Automated Driving Group as another not-to-be missed opportunity to lead through disruption, so much so that he has postponed his retirement to become the senior vice president and general manager of ADG. With Tom and Doug at the helm of Intel’s IoT and automated driving efforts, I’m more confident than ever that Intel will uniquely lead the revolution that will create our future smart and connected world. 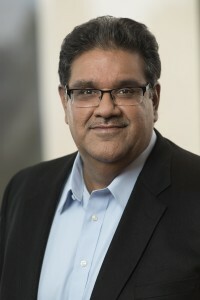 Murthy Renduchintala is president of the Client and Internet of Things (IoT) Businesses and Systems Architecture Group at Intel Corporation. The post Welcoming a New Leader for Intel’s IoT Business and Elevating Our Automated Driving Efforts appeared first on Intel Newsroom. Today, at the 2016 Intel Developer Conference, senior Intel executives mapped out the company’s autonomous driving vision. The session outlined the business opportunity, headlined Intel’s end-to-end technology assets and nodded to its investment strategy. Intel covered how it is uniquely positioned to deliver the broadest set of assets for autonomous driving, powering the intelligence behind the “things,” network and the cloud. The morning kicked off with Doug Davis, senior vice president and general manager of the Internet of Things Group. 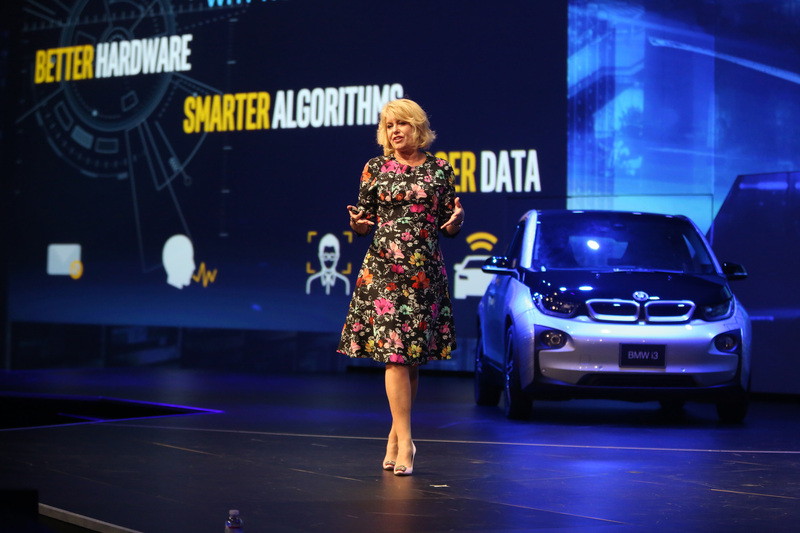 Subsequent sessions were led by, Diane Bryant, executive vice president and general manager of the Data Center Group, who connected the dots between “things” and the data center, including machine and deep learning solutions; Doug Fisher, senior vice president and general manager of the Software and Services Group, discussed the software-enabled AV future; and Asha R. Keddy, vice president of the Client and Internet of Things Businesses and Systems Architecture Group and General Manager of Next Generation and Standards, rounded out the morning summarizing network needs and the evolution of 5G. Market Opportunity: 120 million vehicles with varying degrees of automation will be on our roads by 2030, creating massive societal and economic ripples. Intel shared predictions for an economic wave that could realize $1.3 trillion in savings for the U.S. economy, $507 billion gained in productivity, $488 billion in accident cost reductions and $138 billion in productivity savings from reduced congestion1. New Customer Relationship: Baidu, China’s dominant search provider, and Intel are evaluating and developing new computing technologies in the vehicle and the data center for autonomous driving that will extend a vehicle’s capability to avoid collisions and make passengers safer. Intel’s End-to-End Advantage: Intel illustrated how it is uniquely positioned to provide all of the components required to power fully autonomous driving with experience that spans the vehicle, communications and the data center. The discussion mirrored the company’s virtuous cycle business strategy. 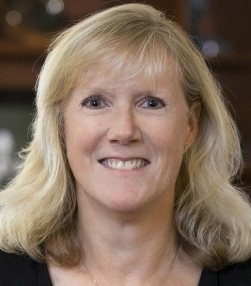 It touched on Intel’s diverse portfolio of power-efficient silicon, global partnerships with telecom and automotive leaders to deliver integrated 5G prototype solutions to ensure network readiness, and the promise of the data center in sufficiently storing, sharing and protecting the unprecedented rates of data that will feed deep learning algorithms to train the vehicle. Demos: A dozen demos were on display showcasing critical technologies across the full depth and breadth of Intel’s portfolio and expertise. The demos spanned in-vehicle technologies, communications and analytics, artificial intelligence, machine learning, and human machine interface. 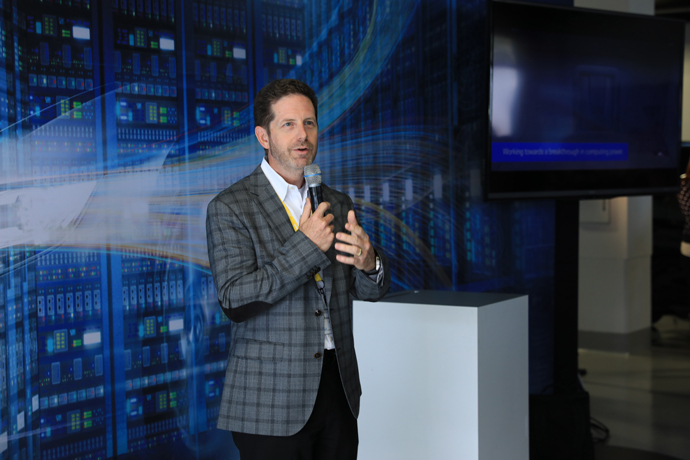 The post Intel Accelerates Autonomous Driving Vision at IDF Investor Day appeared first on Intel Newsroom. Transportation is among the most promising sectors for the Internet of Things (IoT). By converting vast amounts of data into meaningful and actionable intelligence, IoT can help solve many of modern society’s automotive safety, transportation efficiency, mobility and infrastructure challenges. IoT is rapidly enabling innovations like connected cars, smart fleet management, intelligent transportation infrastructure and self-driving (autonomous) cars. In fact, almost half of Americans aspire to live in a driver-less city where cars, buses and trains operate intelligently and automatically without people driving them, and more than one-third expect a driver-less city by 2024. In order to advance more quickly, greater public-private collaboration is needed. To bring this message to Washington, Doug Davis, senior vice president and general manager of the IoT Group at Intel Corporation, testified at a Senate subcommittee hearing on “How the Internet of Things (IoT) Can Bring U.S. Transportation and Infrastructure into the 21st Century.” Together with a group of leading industry experts, Davis shed light on how businesses and government can work together to enhance transportation technology and infrastructure to keep the U.S. at the forefront of global innovation. The post IoT’s Role in Future of Transportation is at Center of Senate Hearings appeared first on Intel Newsroom.